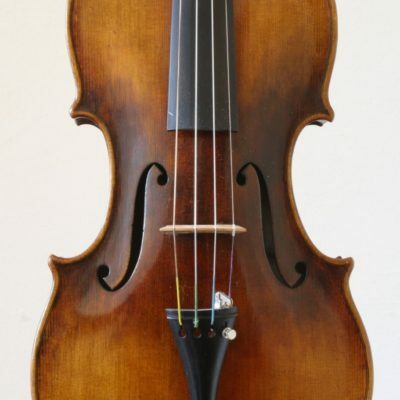 A very good workshop violin from the ateliers of Jerome Thibouville Lamy. 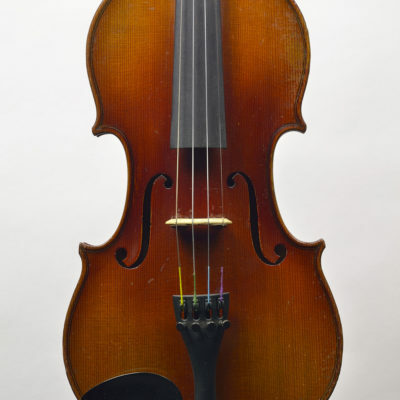 This violin is in a good original condition with a small well repaired crack in the lower treble side flank. 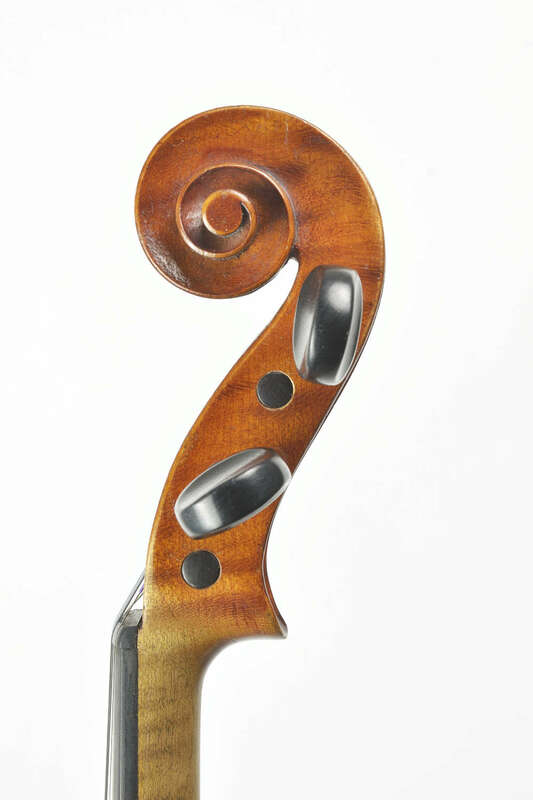 The woods used for this instrument are of high quality, as is the workmanship. The one piece, wide-flamed maple back is a true eyecatcher. Label: “J.T.L Geronimo Barnabetti, Paris” The Barnabetti is fully checked and prepared in our workshop. 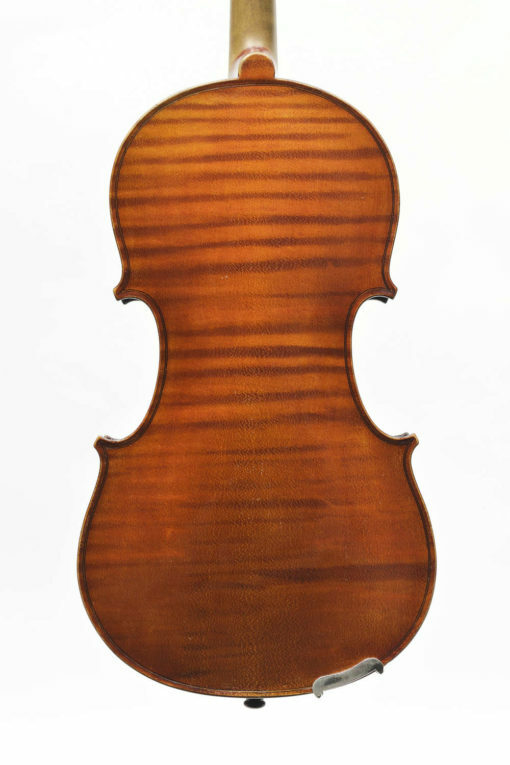 The bridge made by Josef Vedral for this violin is fine and still in use. 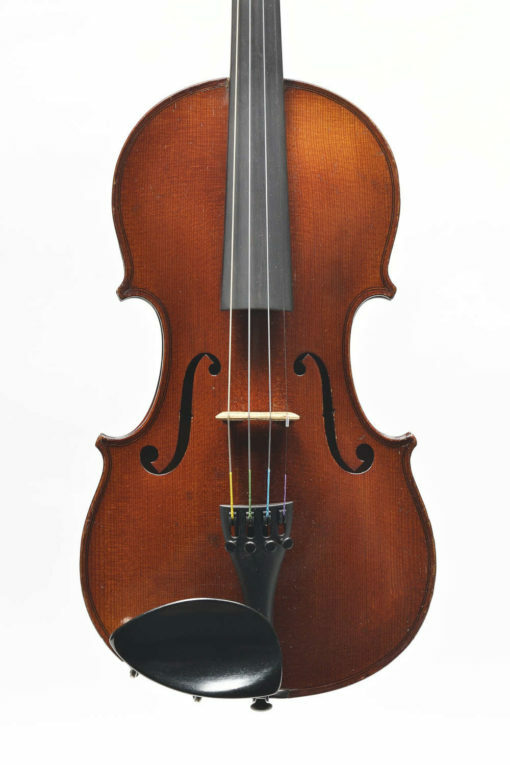 De sound is smooth, full and warm on the low end and has clarity on the E string. 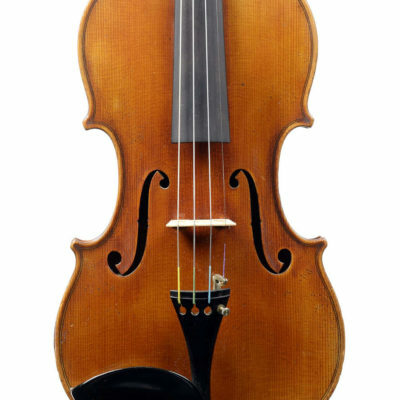 A fine French violin at a good price.